The Aries rig is the ninth in Orion’s Gemini series and the company’s 18th rig overall. Orion fabricated the rig in-house at its Corpus Christi, Texas, facility. 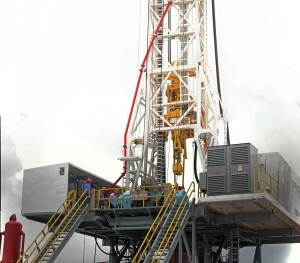 Building the rig in-house allowed the company to exercise more control over the rig components, the company stated. The 1,500-hp rig features 7,500-psi mud pumps, a walking system and bifuel engines. Orion Drilling Company completed its newest rig, the Aries, in May. The 1,500-hp AC rig, the ninth in Orion’s Gemini series of onshore rigs and the company’s 18th rig overall, is now working a long-term contract in Pennsylvania. Eight of Orion’s rigs, including the Aries, have been fabricated and assembled at its facility in Corpus Christi, Texas. The yard holds an API 4F Certification along with API 7K, Q1, and ASME certifications. “We have found great value in being able to control the construction process in house, from the procurement of raw materials to fabrication and assembly of the drilling structure. This has also allowed us to source best-in-class rig components with an emphasis on reducing exposure of personnel to hazardous conditions,” Brett Schellenberg, Orion Marketing Executive, said. With the goal of building a leaner and more ergonomic rig, the Orion construction team took special care to consider how the rig will move once it is on the truck. “Everything we’ve done is to shorten, narrow and reduce weight through the entire rig,” Mr Schellenberg said. Orion believes this provides an advantage when moving the rig in challenging road conditions commonly seen in the Appalachia region. 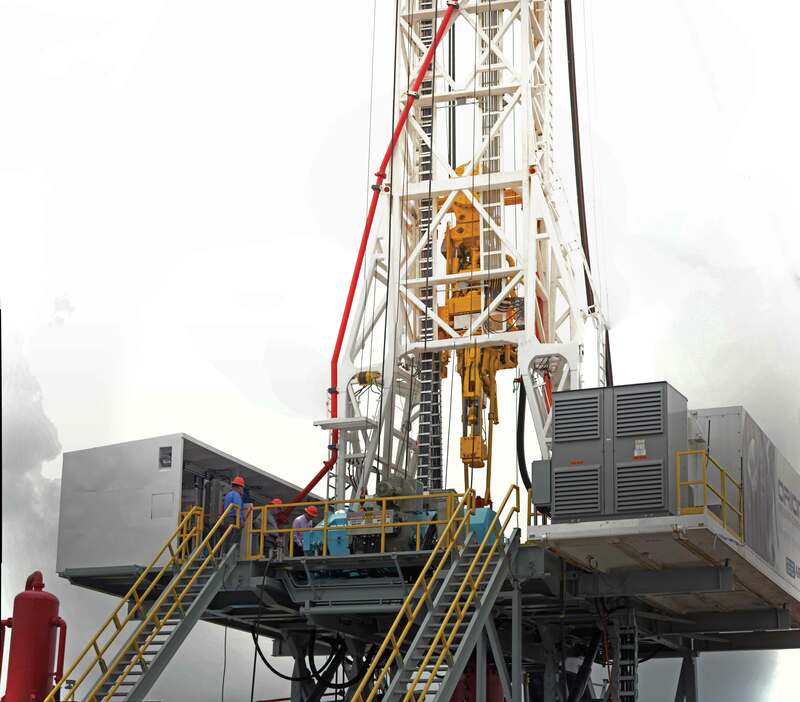 The rig is also equipped with components required to drill extended-reach horizontal wells, such as 7,500-psi mud pumps, a walking system, bifuel engines, a 500-ton top drive, Iron Roughneck and a new power delivery system called ReelRig. 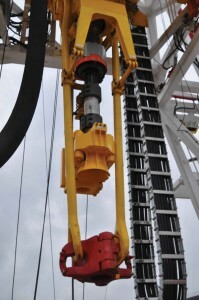 One of the most innovative features on the Aries, Mr Schellenberg said, is the ReelRig system, jointly developed by Integrated Drive Systems (IDS) and Orion Drilling Company. This system, which was developed specifically for pad drilling applications, has eliminated the electrical limitations for multiwell pads. “We’ve distributed the power to the rig with a single 4,160-volt cable instead of running 30-40 cables from the control house to the rig floor,” Norm Myers, Managing Director of IDS, said. Power is traditionally delivered through a festoon system, which can involve more than 30 cables and more than 90 connection points. This means plenty of opportunities for a connection to be broken or compromised, Mr Myers said. In contrast, ReelRig delivers power through just one cable with three connection points. This eliminates numerous potential points of failure, in addition to saving the time it takes to plug in multiple cables to multiple connection points, he explained. “Plugs are the biggest point of failure, and we’ve eliminated over 200 plugs on this series of rig,” he said. A skid-mounted cable reel attached to the Aries’ substructure automatically spools or unspools cable as the rig walks closer to or farther from the main powerhouse. 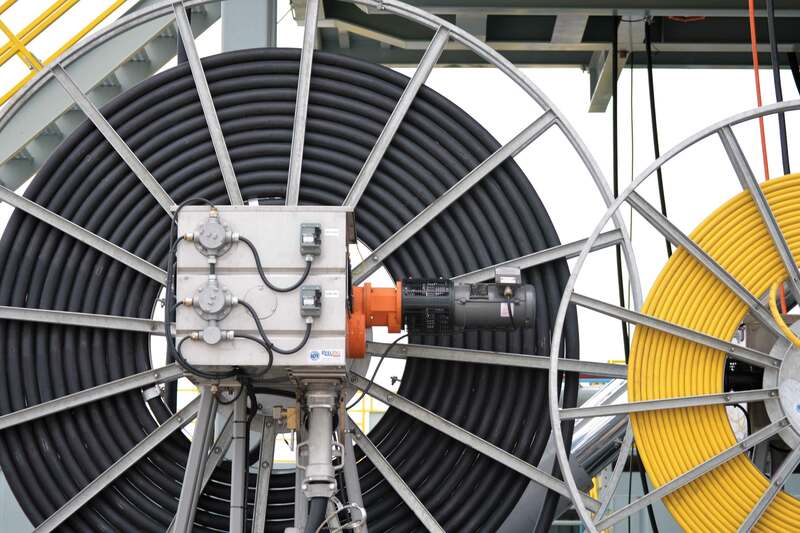 One spool allows the rig to walk 250 ft; an additional spool can be added, allowing the rig to walk 500 ft. “If you did that with a festoon system, that would require a phenomenal amount of cable,” Mr Myers said. While offshore rigs have utilized reel technology in the past, it has been used only once before on a land rig, Mr Meyers said. That was on Orion’s Lynx rig, the predecessor to the Aries in the Gemini series. Since the Lynx began operating in West Virginia in January 2015, Orion has seen significant improvements in rig mobilization times, Mr Schellenberg noted. “It reduced one of our latest rig moves by 8 hours,” he said. The ReelRig system eliminates dozens of cables and connections on the Aries rig. ReelRig uses a skid-mounted cable reel attached to the rig substructure; it automatically spools or unspools cable as the rig walks closer to or farther from the main powerhouse. As operators increasingly turn toward pad drilling to develop their North American unconventional assets, rig walking systems have turned from a luxury to a necessity. In the areas where Orion operates, operators typically drill four to five wells on a pad site and sometimes up to eight. Orion opted to have pin-on legs for the Aries’ walking system, instead of having them built into the substructure. This is fairly uncommon in the industry at this point, David Gibson, Senior Project Manager at Orion Drilling, said. “Typically walking systems are large, cumbersome and built into the substructure,” he said. The pin-on style allows Orion to swap out a rig’s feet when maintenance is needed. The industry standard requires the substructure to be lowered or disassembled when performing maintenance on the walking system. He explained that each foot can be removed and replaced in 30 minutes. The Aries is equipped with a 500-ton top drive by GDS. Orion believes that this top drive utilizes the space in the gearbox more efficiently than other similar-sized top drives, without sacrificing the sturdiness of the mechanical components. Working in tandem with the top drive on the Aries and jointly developed by Orion is the IDS 1500 drawworks. The Aries is the first rig to feature this system, which was designed to be extremely low maintenance, according to Mr Myers. Sensors in the drawworks track when routine maintenance is needed. It sends information to the driller when it detects trends, such as rising temperatures, alerting the driller to a potential problem. “Basically, we’ve built an integrated system where everything’s designed to communicate together,” Mr Myers said. Utilizing products such as the Reel Rig System, Orion and IDS have been able to bridge industry technologies from offshore to land without sacrificing safety, efficiency or costs. Click here to watch DC’s exclusive video with Brett Schellenberg, Orion Marketing Executive, about the Aries rig. Click here to watch a video with Norm Myers, Managing Director for IDS, as he discusses the ReelRig system installed on the Aries rig.